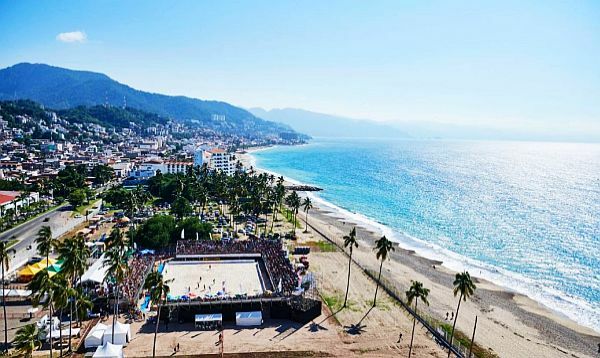 Puerto Vallarta, Mexico - The Confederation of North, Central America and Caribbean Association Football (Concacaf) and Beach Soccer Worldwide (BSWW) has announced that Puerto Vallarta, Mexico will host the 2019 Concacaf Beach Soccer Championship, scheduled to take place May 13-19. The 2019 edition of the biannual Concacaf event, which will be held with the support of the Municipal Government of Puerto Vallarta, will have the participation of the 16 best national beach soccer teams in the region. The two best-ranked teams in the competition will also ensure qualification for the FIFA Beach Soccer World Cup Paraguay 2019. "We are very excited to bring the seventh edition of the Concacaf Beach Soccer Championship to Puerto Vallarta," said Concacaf General Secretary Philippe Moggio. "This will be the fourth time that this great destination stages a top tournament that serves as springboard for Beach Soccer development, while providing fans with an opportunity to witness the passion, dynamic style and outstanding performances of the best from our region." "Bringing a World Cup qualifying competition to Mexico is very relevant, in many aspects, including the support to our local teams, the promotion of a tourist destination that offers great attractions such as Puerto Vallarta and this modality of the most popular sport in our country, without leaving aside the economic benefits and the quality of the sport that promotes healthy coexistence among Mexican families," said the Mexican Football Federation President Yon de Luisa. Soccer fans are encouraged to come cheer Mexico on at the 2019 Concacaf Beach Soccer Championship games, which will be held on the IPEJAL grounds in front of Puerto Vallarta's Agustin Flores Contreras Municipal Stadium, an area typically used for world-class beach volleyball competitions, from May 13-19, 2019. Participating teams include Antigua and Barbuda, Bahamas, Belize, Bonaire, Costa Rica, El Salvador, Guadeloupe, Guatemala, Guyana, Jamaica, Mexico, Panama, Trinidad and Tobago, Turks and Caicos Islands, United States and US Virgin Islands. These 16 teams will be sorted into four groups of four teams. After round-robin play, the first and second place finishers of each group will advance to the quarterfinals. Quarterfinals winners will advance to the semifinals. Semifinal winners will automatically qualify for the tournament's final, as well as the FIFA Beach Soccer World Cup Paraguay 2019. The public is invited to come watch the competitions, which promise to be full of surprises and adrenaline for athletes and spectators alike.